Are you planning to build your brand? LinkedIn is a good place to start! According to Crux Creative Solutions, social media marketing company, LinkedIn is a powerful platform for any business related activity. It allows promoting your content and engaging the potential audience for your company. However, people fail to leverage the benefits of LinkedIn and end up by posting boring content. 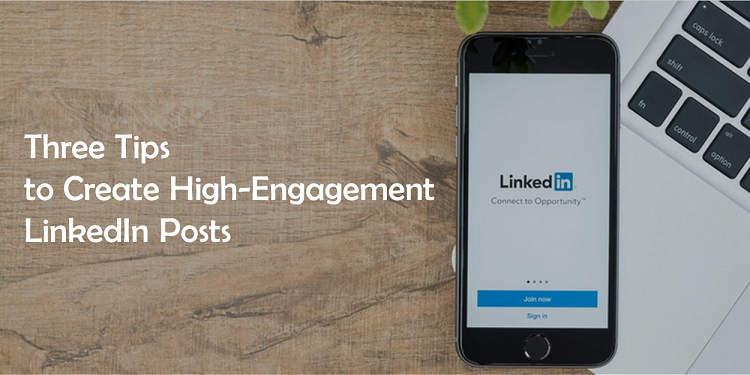 Here are we suggesting three tips for creating high-engagement LinkedIn posts. Grab attention on the LinkedIn with the informative video content! Out of all the social media platforms, LinkedIn is the least used social platform by all the age groups of society. Approximately, people spend an hour on YouTube, 30 minutes, and a comparable amount of time on Instagram and Twitter daily. On the other hand, people spend less than 30 minutes on LinkedIn in a week. This hard challenge of LinkedIn proves how important is to put researched and non-boring content on LinkedIn for the audience. People scroll the LinkedIn feeds fast and efficiently, so if you post a blog link and expect 100 clicks and shares, then it is your completely unrealistic dream. Nobody cares about your long posts because now video content is dominating the LinkedIn. Videos are short, concise, and easy for conveying a ton of information in less time. Spice up your LinkedIn content by presenting different types of video content. Fun, crisp, and knowledge packed short videos capture attention on LinkedIn. As said above, people on LinkedIn scroll their feeds fast and efficiently. No matter how much effort you have put in writing long posts on LinkedIn, it will not affect the audience as much a short, crisp, and informative content can create on the audience. Social Media Marketers always suggest writing crisp content on LinkedIn. Short content actually stops the reader and prompt him to be the part of the conversation. Next time on LinkedIn, keep your content simple and crisp. Most people use Social Media for driving traffic to websites. However, on LinkedIn, it is a real hurdle to keep the audience stick to your content. Well, good content wins the hearts of people over time. Crux Creative Solutions, leading social media marketing Company in Gurgaon, suggest you to use the native ‘Write an Article’ feature. Content published on LinkedIn with this features grabs attention and generates more likes and shares. LinkedIn provides endless opportunities! To stand out on LinkedIn with your brand, contact Crux Creative Solutions Private Limited. We offer a wide range of social media marketing services in Delhi and Gurgaon. To know more about us, visit our website today!